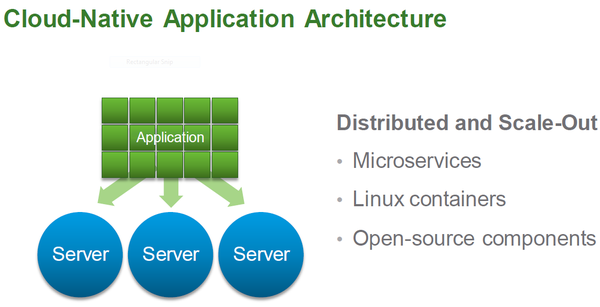 VMware announced the introduction of two new Open Source projects, Project Lightwave and Project Photon, both of which are intended to improve scalability and integration between cloud apps and existing enterprise infrastructure. Project Lightwave is an identity and access management platform that will allow increased control over container-based cloud apps by implementing access control over container-based apps for both developers and customers. Key capabilities in Project Lightwave are centralized identity management and multi-tenant support, key components for service providers and application hosts. Project Lightwave also supports industry-standard authentication protocols such as Kerberos, LDAP, SAML, and X.509, making interoperability with existing identities and identity providers possible. Support for certificate and key management are another critical component of modern security that can be managed using Project Lightwave. Project Photon, the second open source project VMware announced today, is a lightweight implementation of the Linux operating system built specifically for running application containers. Targeted primarily at environments running VMware vSphere and VMware vCloud Air, Project Photon is designed to allow users to run both virtual machines and containers natively within a single lightweight environment. Project Photon supports container applications from Docker, rkt, and Garden/Pivotal. Those in tune with the industry will notice that Project Photon appears to compete directly with Nano Server, recently announced by Microsoft. VMware will likely gain some traction with a product release a year ahead of its competitor, along with the choice to release an open source solution. As both Project Lightwave and Project Photon are being released as open source projects, customers will be able to test and contribute to the projects. Project Photon is available for download immediately through GitHub. Project Lightwave will be available for download later in 2015.